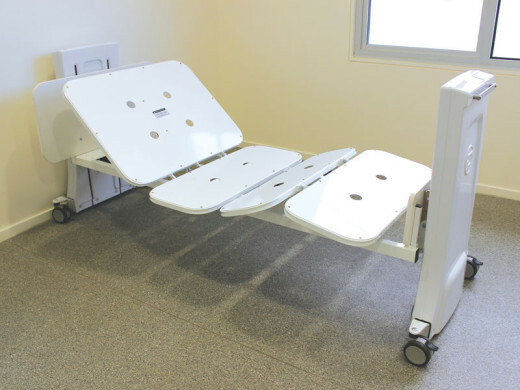 This floor line / ultra-low bed is specially designed to lower the patient to floor level, thereby negating the need for side rails and minimizing the bed height in the event of an accidental fall from the bed. One significant feature of the bed is that the mattress base can be folded in the middle for easy transport and storage. This bed has a strong steel frame that has been tested to safely support a rated load of 220kg. The height range of this bed is 12.5cm – 72cm (measured from the top of the mattress platform). The standard single Rose II bed has a mattress width of 90cm and length of 193cm. The Rose II is also available in a King Single size with a mattress width of 107cm and length of 203cm. Both sizes are standard with adjustable backrest and knee bend. 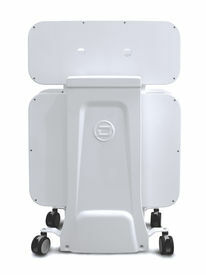 The foot end bed tower has a built in bed control panel allowing the career to operate all functions of the bed. The provision of a corded remote operating handset is also provided and it plugs into the control box situated under the head end of the mattress base, so the patient can also operate the bed if required. The foot end tower also has a mounting bar to support a mattress air pump, providing a point for the pump to be placed and preventing it from being accidentally crushed if the bed is lowered to the floor. Both backrest & knee bend actuators are supported under the mattress base and do not come into contact with the ground when the bed is lowered. 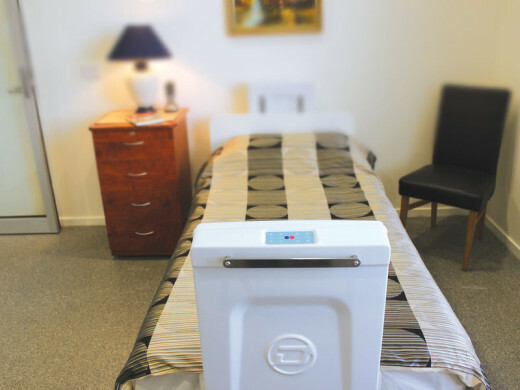 The bed has a tilt function, giving additional comfort options for patients. This function allows the mattress platform to be independently raised or lowered to any angle required. The bed has been cycle tested 3000 times with its rated load to ensure it is reliable and safe. All testing of this bed has been carried out in accordance with Australian Standards and meets the requirements of the TGA. 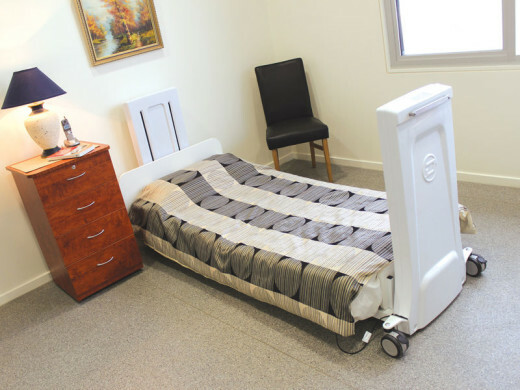 The Lucy Bed is a version of the Rose (II) Floorline bed that has been modified to meet the DHHS standard requirements for height adjustable beds for department managed accommodation services.